I love being able to pack away the darker colors I wear in the fall and winter. Summer is the perfect time to bring out yellow, pink and turquoise. Hot pink looks are popular this year so it’s time to add in a few hot pink pops of color to your summer style. I received products for this post. This post contains affiliate links, and I will receive compensation if you make a purchase after clicking on my links. Not everyone feels comfortable dressed in hot pink from head to toe. It’s a bold color that looks better on some people than others. If you do own a hot pink dress or pantsuit, now is definitely the time to wear it. If not, it’s still possible to embrace hot pink by adding a few colorful accents. The heat and humidity aren’t always good for expensive gemstones and pearls. Summer is the time to bring your fashion jewelry out of your jewelry box. 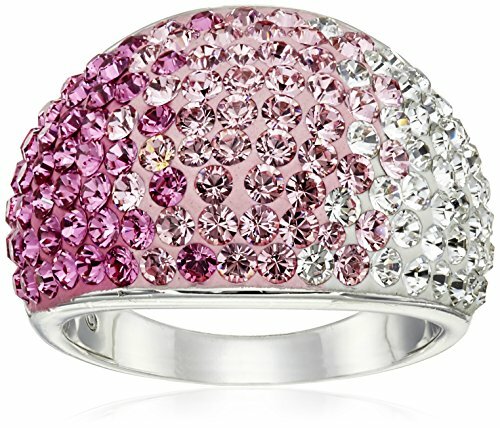 Try a hot pink statement ring or a bold pair of earrings. I do love shoes, but I try not to accumulate things I don’t need. You can certainly invest in a new pair of summer sandals if you need one. But, if you’d rather not buy a new pair of shoes, you can get pink rhinestone shoe clips to add a little bling. You can buy a hot pink summer shirt and pair it with your jeans, capris or summer skirt. I prefer summer t-shirts because they wear well and are quite versatile. Pairing it with jeans means you don’t need to worry about hot pink color combinations. Adding a splash of hot pink to your summer style is easy with pink lipgloss or hot pink color lipstick. Here are a few choices for hot pink summer lips. Rimmel London The Only 1 Lipstick in Pink A Punch ($7.99) – The perfect balance of high impact matte color, moisture, all-day comfort and staying power. Rimmel London Only 1 Matte Lipstick in Call The Shots ($7.25) – A no-compromise all-in-one lipstick with the perfect balance of high impact color, moisture, all-day comfort and staying power. Rimmel Oh My Gloss! Oil Tint in Modern Pink ($5.99) – Reinventing lip gloss as you know it, Rimmel London’s NEW Oh My Gloss! Oil Tint fuses pure color pigments into lips for a refreshing juicy pop of color with an ultra-glossy finish. Don’t forget to add a little bit of fun to your finger and toenails with hot pink nail polish. 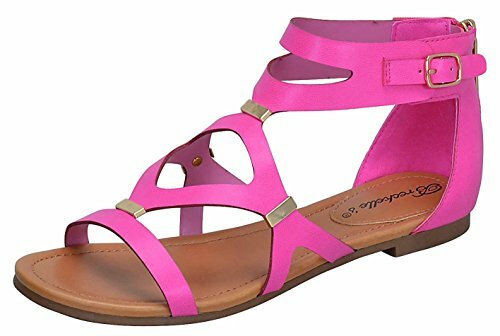 Summer sandals allow you to show off your pedicure. Here are a few picks for hot pink summer nails. Finish off with a Sally Hansen Miracle Gel Top Coat to make it last. 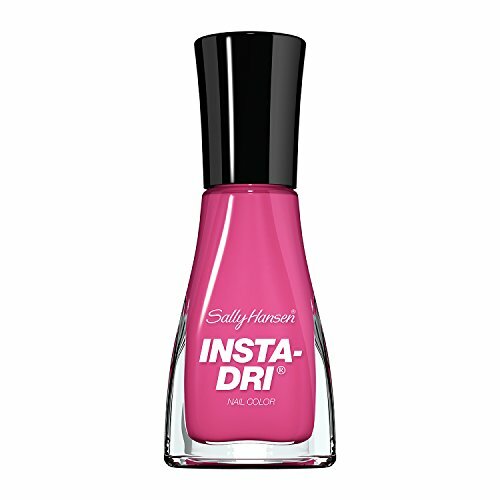 Sally Hansen Insta-Dri Nail Color in Peppy Le Fuchsia ($4.99) -Insta-Dri® fast-dry nail polish is formulated with a base and top coat for extended wear and stunning shine all in one coat! Sally Hansen Miracle Gel Nail Color in Pink Up ($9.99) – The #1 no light gel system! * In just two easy steps get up to 14 days of color and shine. More chip-resistant than regular nail polish. Sally Hansen Complete Salon Manicure in Back to The Fuchsia ($7.99) -Featuring a base coat, growth treatment, runway-inspired color, top coat, gel-shine finish, chip-resistance, and a strengthener with keratin complex, this all-in-one formula delivers up to 10 days of chip-resistant wear. What’s your favorite way to enjoy hot pink looks for summer? I love Hot Pink! The shoes are really pretty! Thanks! I love all these wonderful tips for incorporating Hot Pink into my summer wardrobe & lifestyle. I don’t do yellow, but do love turquoise, so will need to add in more of the turquoise too. Thanks for all the tips! Not at all. I love it too! There are lots of fun ways to add a bit of color! These are great ideas for those who want to be ” in the pink” this summer. I have a lot of pink in my wardrobe. I love turquoise too and have just begun to embrace bright yellow. I have dark blonde hair so I never thought yellow did much for me but I do love a bright, sunny color now and again. I’m a smaller woman that’s admittedly purchases some XL girl sizes in hot pink and yes some Hello Kitty too. I don’t care what others think. I still love the cutsie clothes and you’re never too old to dress the way you want, lol. I have some light pink Crocs but I do love the dark pink sandals in the pic. Yellow isn’t a color I wear a lot of but pink and turquoise definitely! I love hot pink and other bright colors to wear during the summer months, especially when I have a nice tan!